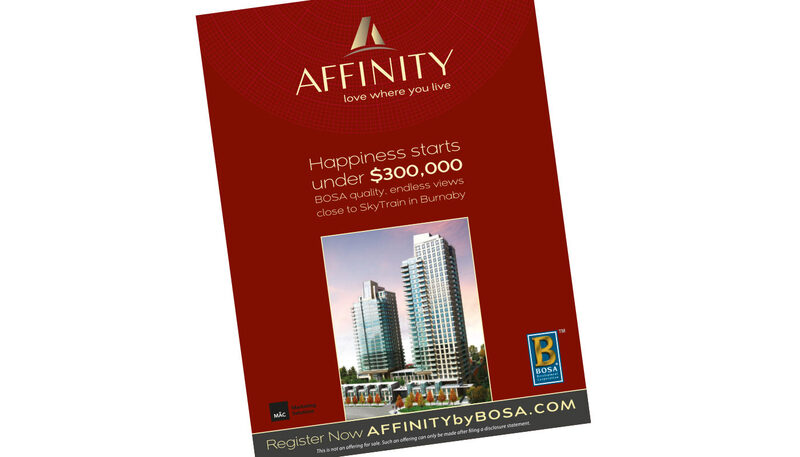 A condo tower located in a well-established neighbourhood in Burnaby. 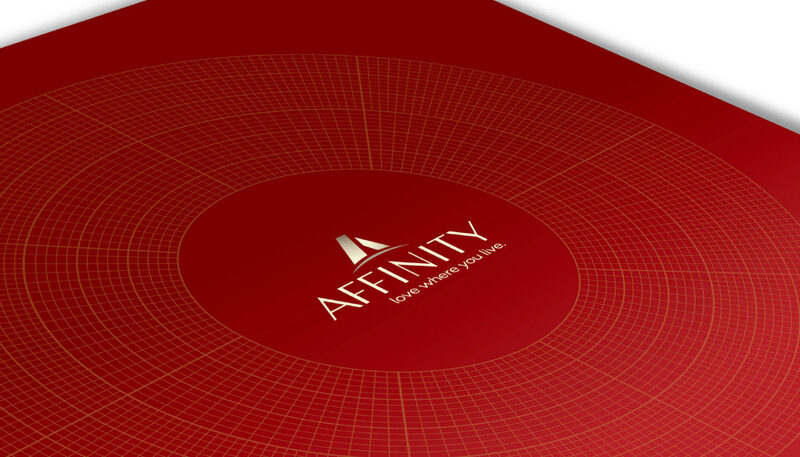 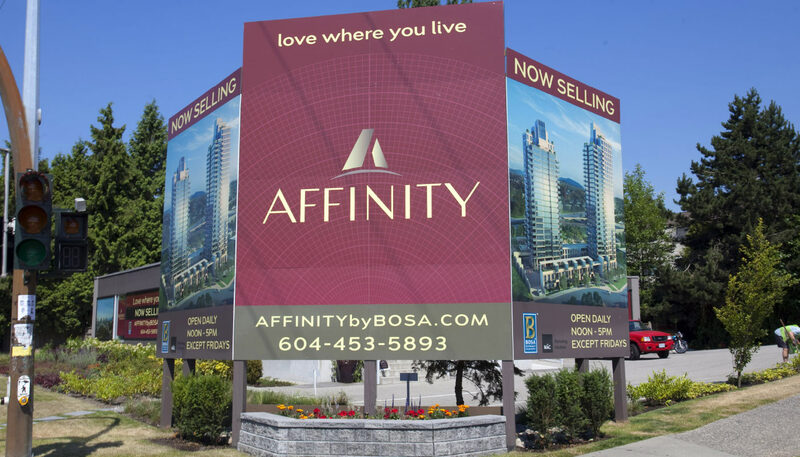 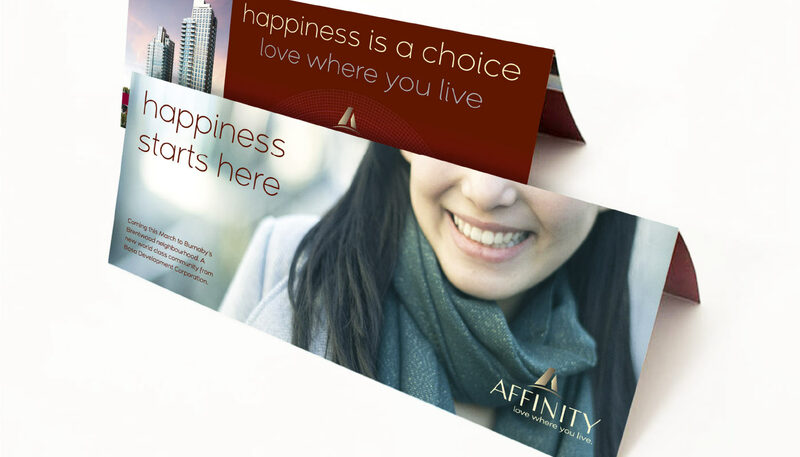 Using the word affinity created a sense of closeness and belonging that appealed to the empty-nester market looking to downsize and remain in their community. 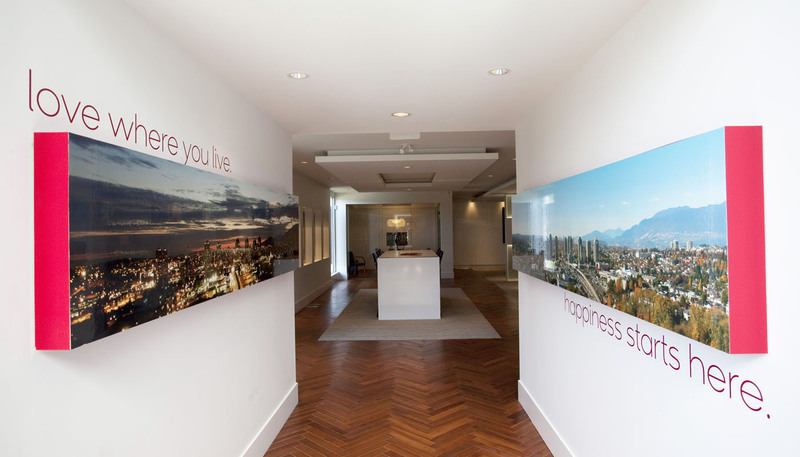 “Love where you live” and concentric radiating lines supported this sentiment. 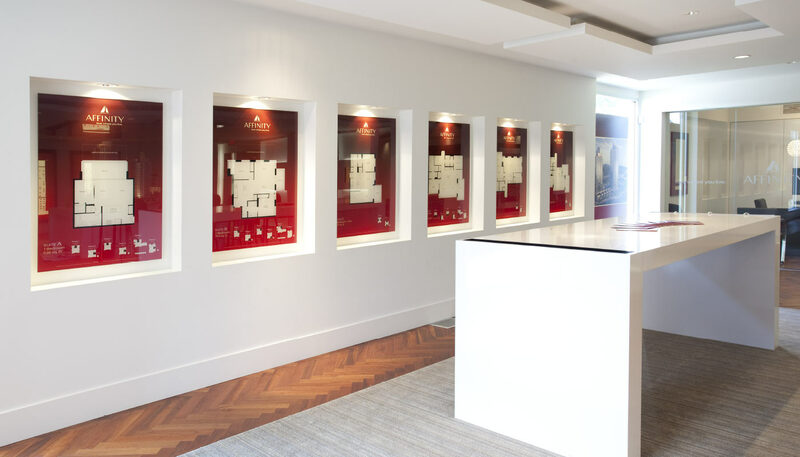 Burgundy colours foster an established mood while view photography represented the unobstructed views from tower homes as a key selling point.